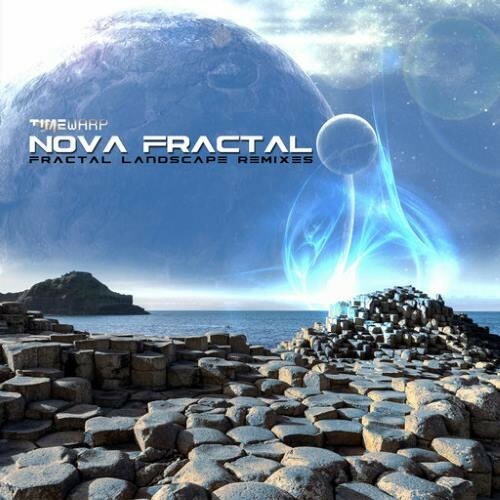 Timewarp Records proudly presents nine remixes for Nova Fractal's album Fractal Landscape specially reimagined, realigned and re-visioned by world spanning artists who have collaborated with the label. Siam, Spectrum, Ion Vader and Cactus Arising from Greece, Omneon from Estonia, JIS from Hungary, Sky Technology from Ukraine, Screwloose from Croatia, Lectro Spektral Daze from New Zealand and Fiery Dawn from Georgia who made his remix for the song Naga off the ep 'Lost Souls'. This album is simultaneously a futuristic psychedelic trance voyage and a retro Goa trance adventure all in one. Modern polished production and engineering are expertly applied to the classic artistic expression of the foundation to our vast and diverse music genre known as Goa Trance. Returning to the outer rim we are again treated to a lush tour through vivid fractal explosions expanding multidimensional time-space portals unlocking the mysteries of inaccessible regions within primitive DNA, harnessing the dual nature of light wave particles and the roots that all life springs from. Nova Fractal is Croatian psychedelic and Goa trance project, founded by Renato Brnic from Slavonski Brod, also releasing breaks and downtempo with his side project 'Main Sequence Star' and managing Timewarp Records.